Kitty Wasting Disease is Now an Epidemic with a Surprising Culprit – FIREPAW, Inc.
Forty years ago, feline hyperthyroidism was virtually nonexistent. Now it’s an epidemic — and some scientists think a class of everyday chemicals might be to blame. 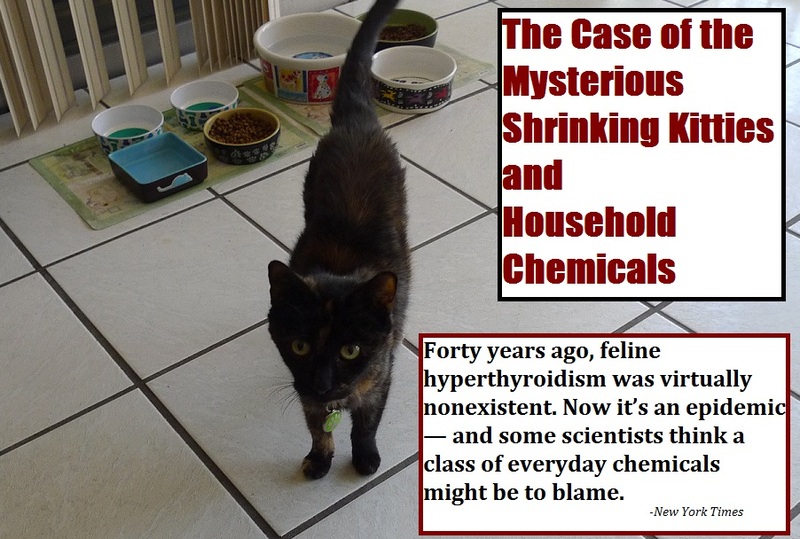 The mystery behind feline hyperthyroidism: Although definitive answers remain elusive, scientists are narrowing in on one possible explanation: A steady drumbeat of research links the strange feline disease to a common class of flame retardants that have blanketed the insides of our homes for decades. Scientists have found chemical flame retardants in the blood of pet dogs at concentrations five to 10 times higher than in humans, but lower than levels found in a previous study of cats.